Police can confirm that a 17-year-old male, who was injured following a serious crash at Rothesay Bay on 23rd June, passed away in Auckland Hospital overnight. He was 17-year-old Robbie Cederwall. Police’s sympathies are with his family at this time. Robbie’s father, Tony Cederwall, has provided the following media statement and a photo of Robbie, which the family have requested is the only photo of Robbie to be used by media. Robbie William Henry Cederwall, born 2nd of November 2000. Robbie passed away in the early hours of Tuesday 26th of June 2018. It is with sadness that the family of Robbie can confirm that Robbie has passed away early this morning after donating his organs to a number of urgent recipients. 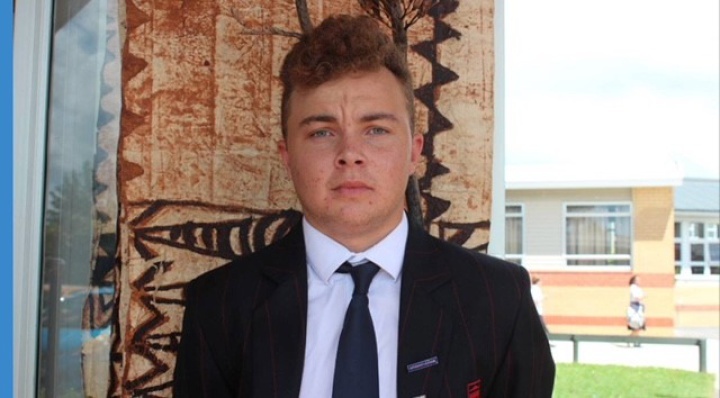 Robbie was an active and involved student at Rangitoto college. Robbie was a prefect, extremely gifted, a talented performer and a student leader. He was actively involved with the Salvation Army youth group and worked in the charity store. Robbie is known for his infectious smile, cheeky wit and caring personality. He had a magical way of brightening up your day and always making you feel special and important to him. On behalf of the family we would like to thank everyone including the hundreds of kids who were at the vigil at Auckland Hospital over the last few days. The family appreciate all the amazing messages of love and support. Robbie truly knew he was loved by all. We would like to thank the amazing staff at Auckland Hospital for their wonderful care of Robbie.